Hiking trail is usually a place where you take scenic nature pictures, waterfalls pictures or pictures of wildlife. 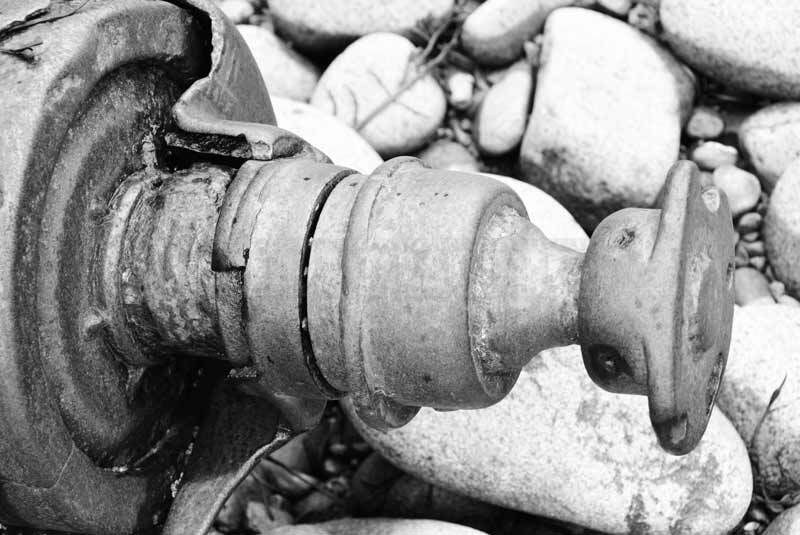 However, if you keep your eyes open and pay attention to details, you can find a lot of subjects suitable for abstract art or industrial images. 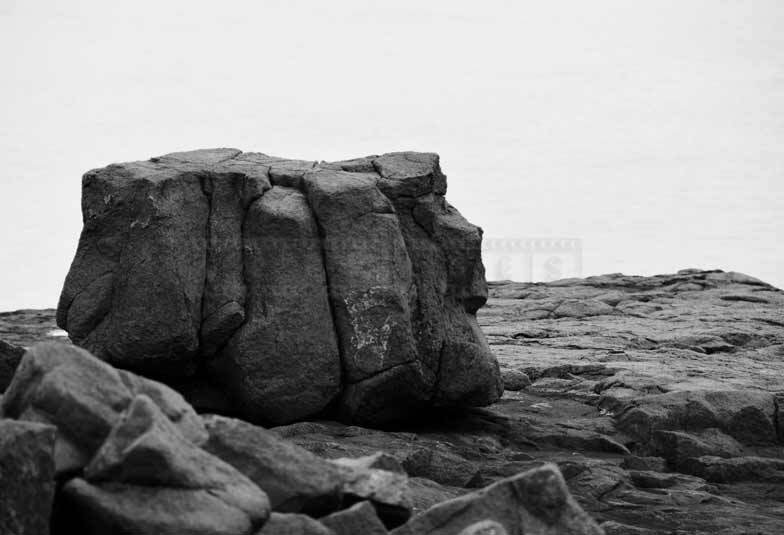 FPImages is sharing a series of black and white photos taken at one of Nova Scotia hiking trails. Abstract images often come out better as black and white photos because this allows to concentrate on patterns and rhythms, shapes and lines, light and reflections, shadows and highlights. 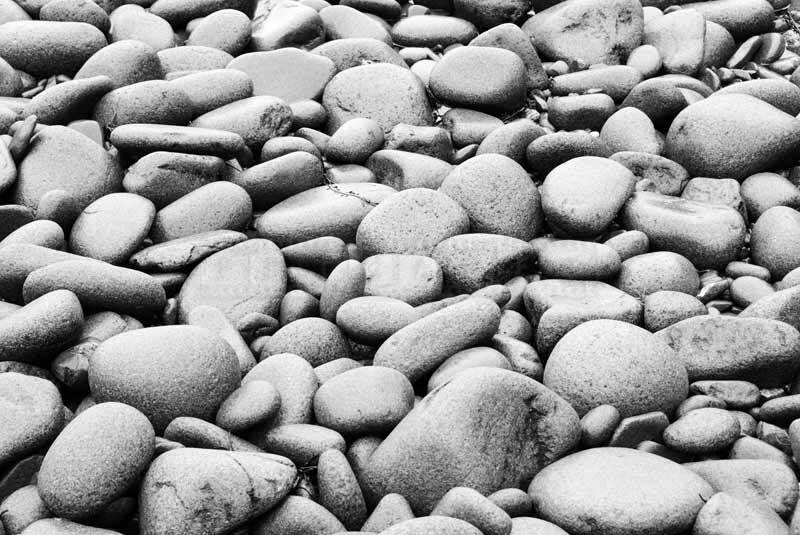 Nova Scotia Bay of Fundy shore is rocky and these rocks are perfect for taking abstract images. Nova Scotia weather is often foggy and overcast in the Bay of Fundy. This creates very even and soft lighting conditions. 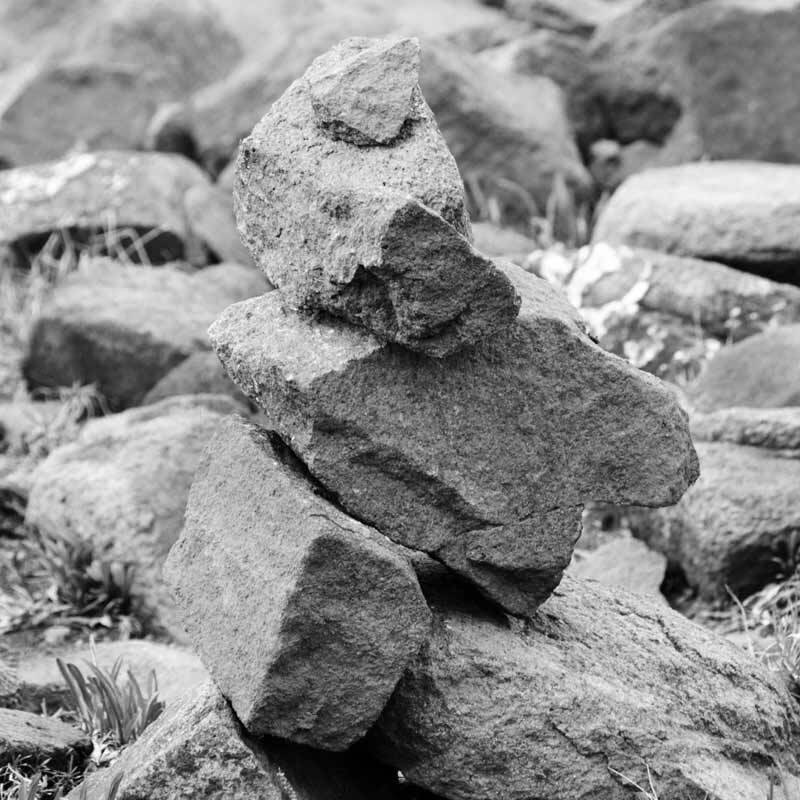 Rocks usually symbolize concepts of being stable, solid and steady. 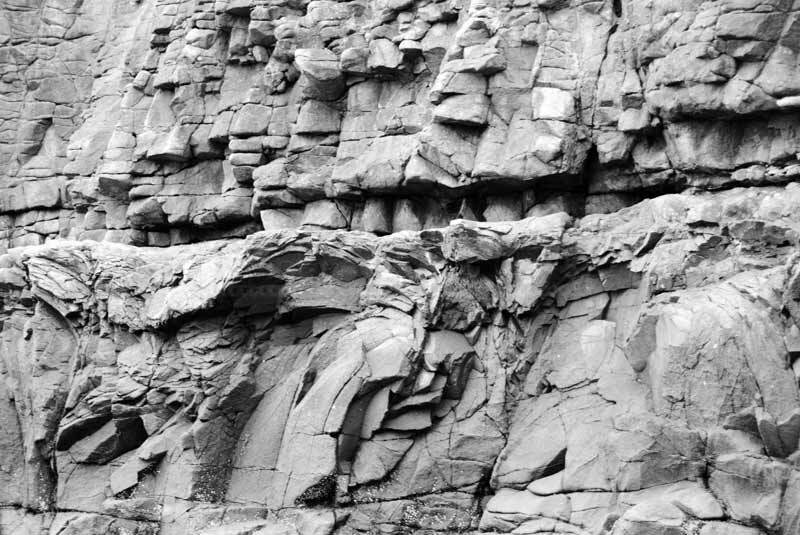 Rocks also have unique textures and intricate patterns, that only nature could have created. To achieve greater abstraction try to move in closer to the subject and frame only minimal and necessary components of the fine art photo composition. It is important to obtain equilibrium and balance in abstract images. 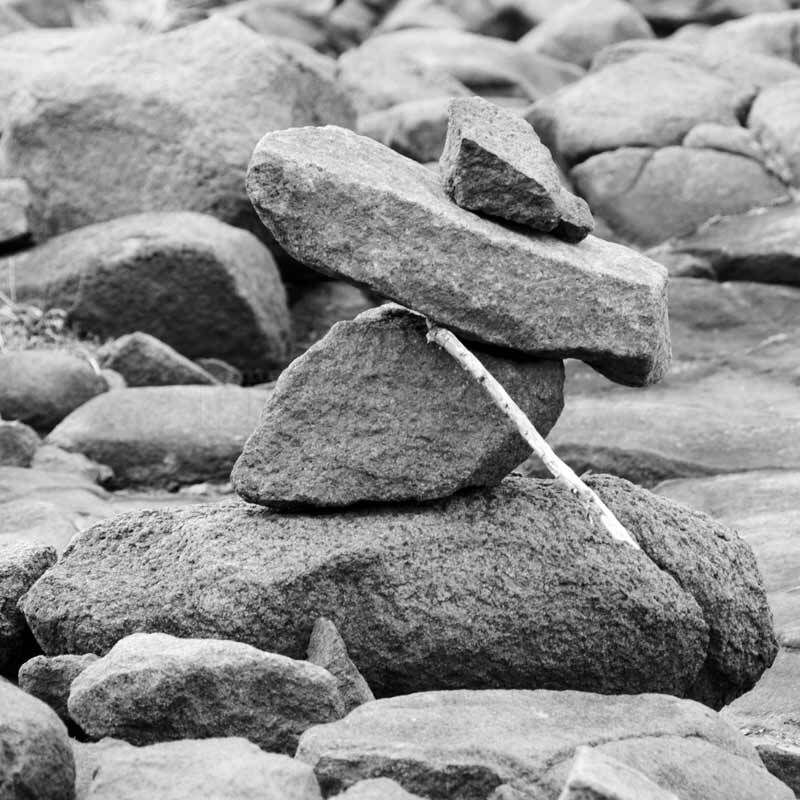 Native Americans of the North always appreciated rocks and built stone structures known as inukshuk or inuksuk. 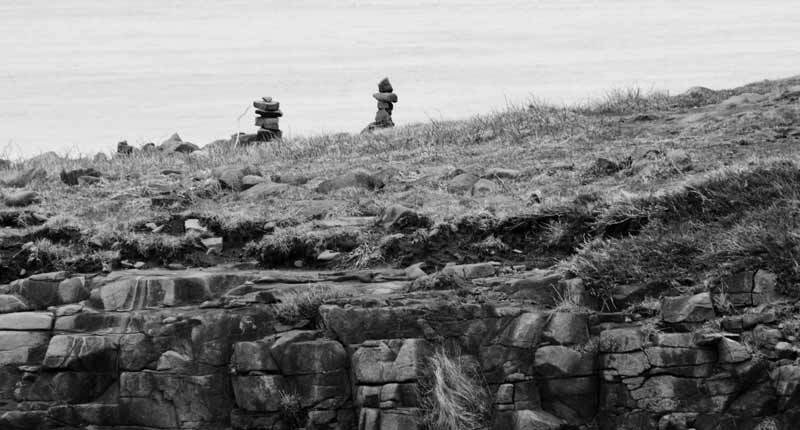 If you take Nova Scotia hiking trails, you may come across inukshuk in this province too. 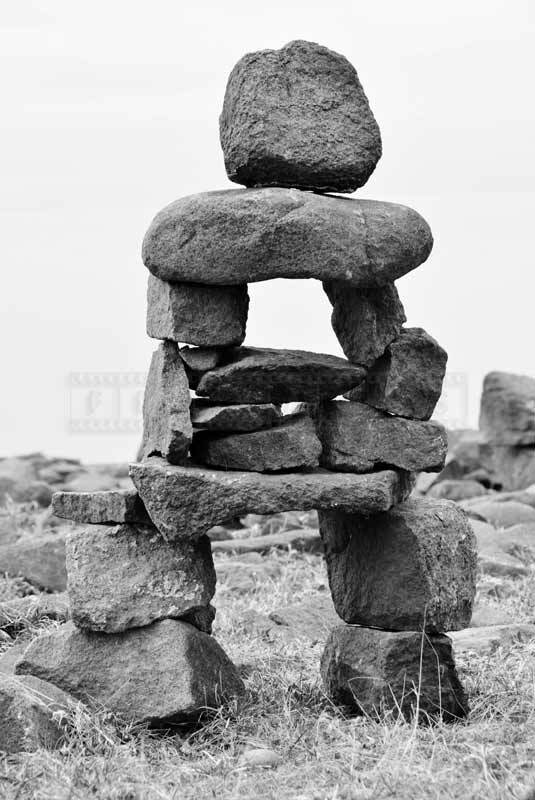 Inukshuk are great examples of native people creativity and abstract art and nowadays are considered to be fine art by many. 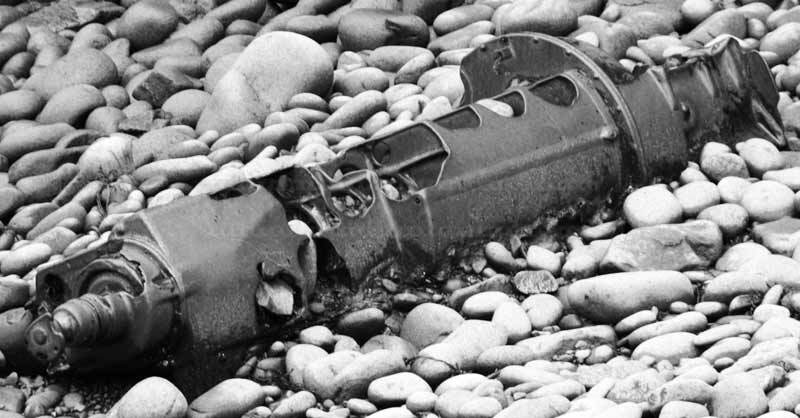 Occasionally you can find industrial wreck on a hiking trail. Ocean displaces all unnecessary man made pollution and cleans itself. That’s why you can see numerous items of human industrial pollution at the coast. Bohaker Cove at the Bay of Fundy shore is pretty and has a waterfall. 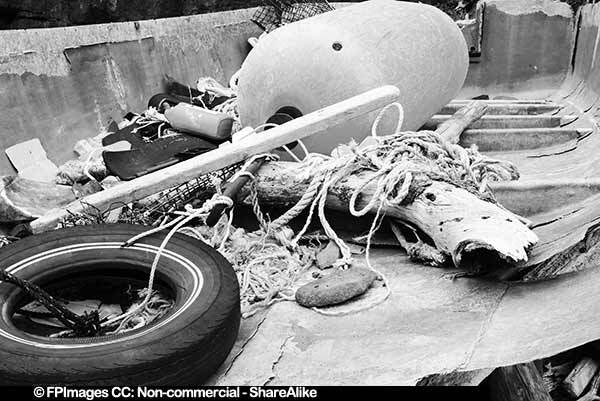 But it also has lots of junk and industrial trash that ocean has thrown out. 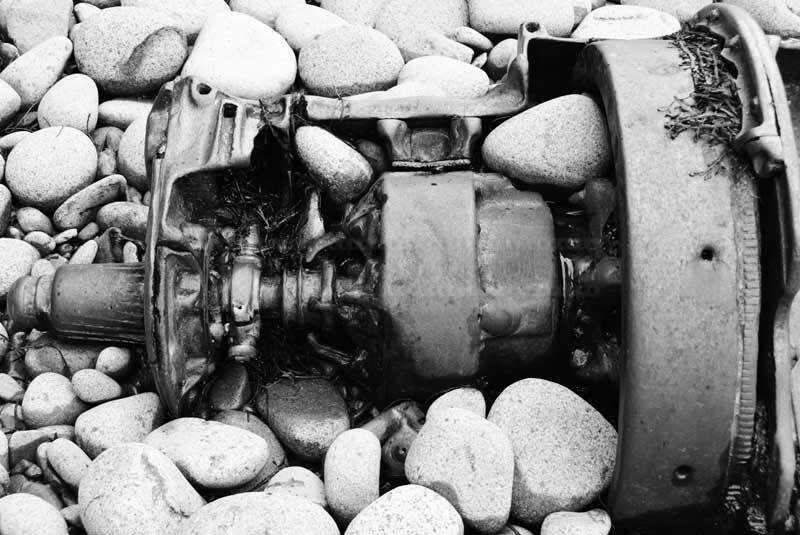 These industrial pieces will make great industrial images. 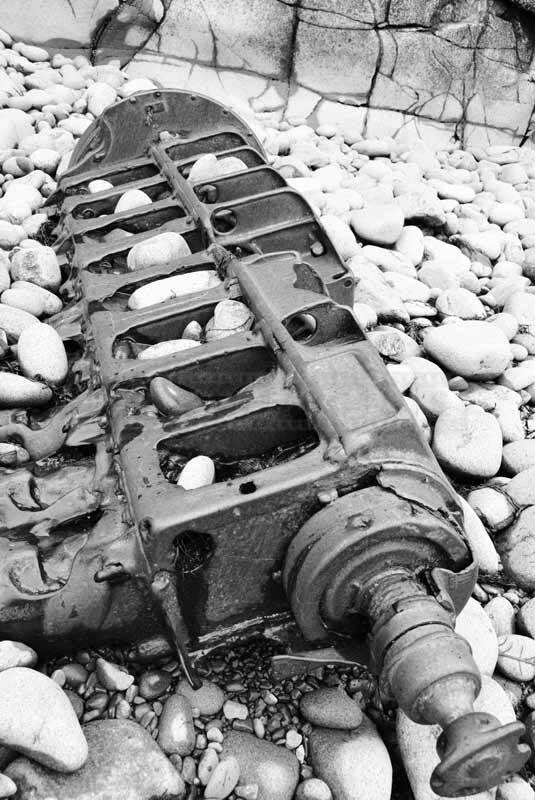 Under special lighting conditions like sunrise and sunset or under unusual perspective industrial wrecks produce fine art photos.